which of you are true? In the spring of this year, I fell apart. Some wonderful things happened. Some hard. I railed against the limitations I felt caged by. I explored ways of finding and making space. The wheel turned, and everything changed. And nothing changed. The trick to magical manifestation, I have always found, is to be clear on what you truly desire. When everything you’re holding together begins to fall apart, struck by lightning perhaps, you can no longer ignore the cracks. When beautiful things appear in your life they highlight the parts you’ve allowed to become stagnant. And I’ve found a way to dance again! I can no longer dance for hours every week in ATS Belly Dance, but I can strap my knees and back up (corsetry is surprisingly useful for this! ), indulge in some spirits, and relax into freeform dancing as long as I listen to my body. There is light in the darkness, always, and always more tales to tell. My knees are burning. My back is cramping. Tears stream down my cheeks in frustration. All I want to do is dance again. To move. To feel alive. Exhaustion rises up, fog descends. My mantra: I am lucky. This is temporary. This too shall pass. My body tells me that all there is is Now. Now is all. It might be correct. I curl up on the floor. Empty. I catch my breath. Numb. Noticing, with strange detachment, that the world has become distant. That I’ve been a quiet automaton for hours, days… perhaps longer. I breathe myself back into my body. Back into my feet. Back into the burning, aching flesh. At least I feel alive. I notice. Even restrained, even with the limits of movement, even with the fog and frustration, Here and Now, if I can keep my self in my belly, in my feet, in my hands, in my flesh… I can breathe and expand. The deeper into the flesh I go, the deeper into the magic. The deeper into the world I sink, the more I can expand, the more I am aware of. Oh it hurts, yes, but with each breath is life. With each prickly of goosebumps the wild spirits brush my skin with fingertips, tentacles, lips dripping in nectar. The more present I am, the more present I am with Them. The gods stand behind me, the ancestors whisper in my ear, the spirits draw near. I can feel my edges, raise my shields, let down my hair, call out the cry of a Witch in the night. The deeper into my body I can stay, when all my instincts are to flee, to float into painless disconnection, the closer the magic is. Her and Now. Here and Now at the crossroads of every moment. Here and Now is where the web of Wyrd is woven, where the Power lies. I am lucky, this too shall pass, this too shall return to the Fertile Darkness from whence it came, I am lucky, there are lessons here, if I can just stop running, just be Here and Now. And in the stillness, I dance. Glamour is traditionally a faery magic. The ability to make something look like something else, to make something more beautiful, or ugly, is a handy skill for hiding something, or testing someone. On the other hand, sometimes you’ll hear of gold that turns into dead leaves when the glamour wears off, leaving the faery laughing in the distance with the goods. Although one can’t help but wonder if perhaps the very earth from which we grow, which feeds us and houses us and receives us in the end, perhaps the earth is more valuable than gold? On to steampunkerie! This year I’ve taken the Goblin Circus to quite a few steampunk events and I’ve been pondering glamourie again. When we dress up we’re casting a glamour on ourselves. We don’t have to use this to present an image though, instead we can use it to create a space of possibility. When we add an element of fun we open the doors of possibility further because we can relax into the magic! Steampunk is great for this! (If you like the aesthetic!) Fairy festivals can serve a similar function. … and share our bread with them so they know they are honoured too. I was thinking, at Druid Camp, that my initial impression of druids was not favourable. I grew up a half hour bus journey from Avebury. When I was 18 I spent each of the 8 neo-pagan Festivals camping in Avebury. During the summer months I saw a particular group of Druids performing open, public rituals there. So far so good. Except that the leader would start with “Let’s do this quick so we can get to the pub!” and end it with “To the Pub!” with a fair amount of alcohol already having been imbibed. I was not impressed that the ritual seemed to be done as an obligation, rather than as a devotional act, or an offering, or a joyful service, or a celebration, or whatever. It felt like a public show of “Look at us! Aren’t we great! Honouring the Old Ways ™!” getting in the way of drinking, rather than something that was important to the druids officiating. It didn’t help that at this point I was teetotal. Now, I’m certain it was important to them. I’m certain this was a bit of a joke, and I’m all for irreverent reverence. But when you are performing public ritual in a very public place then, surely, you have to expect that you are giving some people their first impression of pagans in general and druids in particular? Surely you need to take this into account? For me, this was my first encounter with druids, and I was not impressed. At one festival there was a second ritual, run by Bobcat and others (I only remembered Bobcat’s name because, well, bobcats!) which I really loved, but it was too late. I actually thought it was part of the same group. I’d dutifully attended all the rituals I came across whilst there in order to learn as much as I could. And because I’d assumed these were the same kind of practitioners – i.e. they’re all druids, right? So they’re all part of the same thing, right? – I didn’t really want to be involved in a group that had the opening and closing of a ritual revolving around getting wasted. This is not to say I didn’t have good experiences with druids there. I had some lovely conversations. I also had some amusing ones where very high (as in stoned) druids attempted to educate me (conflating youth with inexperience – by then I’d been practising (neo)Witchcraft and magic for 7 years!). Their case was also not helped, in my eyes, by the fact that I only saw them doing their public rituals in the summer. Now I suspect they performed their winter rituals somewhere sensible, or on a different day so I can’t really hold that against them! The other issue were the moots. I got so frustrated at the few I attended with the lack of discussion about the things we shared in common – i.e. an interest in magic/paganism/druidry/stories/etc – and, when I asked someone if we were going to talk about anything, well, magical, their response was “Why would we talk about that? This is a moot!” And off they went to get drunk. Anyway. The point of all this reminiscing is this: when we are out and about in a visible role as pagan, druid, witch, magic-worked or whatever, we are representatives, rightly or wrongly, of the group we present ourselves as belonging to. I was desperate for local pagans to connect with at that point in my life and could only find people who either patronised me or put me off! For years I understood druids to be drunken show-offs who only paid lip-service to magic and the gods. Eventually I met some who clearly weren’t like that and slowly came to understand that that kind of group was a minority, though a VERY public minority. This has me thinking about responsibility of visibility. So should we make ourselves visible if we believe we are able to counteract some of the negative stereotypes and representations of our groups? Do we have a responsibility to provide an alternative to those who we feel are being unethical in their presentation? How? And, really, to what end? Anyway. It isn’t really a problem with druids at all. It can be found in any group. The racist Heathens of the AFA are likely to drive good people away from Heathenry as a whole. Bitchy Witches can put people right off attending a moot or a gathering a second time. And I know of plenty of people who won’t come to Pagan Soc meetings because the society is made up of newbie pagans who haven’t found their feet yet, and they find it tiring/etc. So the questions are the same; What can we do about it? What should we do about it? Or is it just one of those things? And who am I to judge them for how they want to present themselves and their path? Thankfully my impression of druids as a whole has changed… and I still love Avebury! I’m a fully-paid-up, signed-in-blood member of the Cult of Busy and I love it! This time of year is wall-to-wall events, performances, classes and inspiration. Dancing from one thing to another! Plus a trip to Druid camp, my 31st Birthday (and thus an Unbirthday party) and our second wedding anniversary, a visit from Mother, socialising, working the day job… and AT LEAST a day’s worth of preparation for each and EVERY event or class!!! Shall we take a day off Maurice? Nah, I agree, rest is for the sleepy and I’m not tired at all… What do you mean I haven’t stopped yawning today?! This week I’d booked off work to go adventuring. Whether touring living rooms with the Goblin Circus or visiting Edinburgh Festival or whatever, I knew I wanted to be out enjoying the last of the summer season. As August began and I looked at the weeks ahead however, I did something important. I checked in with myself. I love writing! I should do more of it. And myself reminded me that I also needed to rest and wanted to write. Writing, whether for the thesis or creatively always takes a chunk of time for me. All the excitement and inspiration from my travels needs a little space to catch up and brew. I was then invited to another event for this period. I realised my other plans had fallen through or not materialised and I could finally get to this event I’d wanted to go to for ages, and be both useful and inspired… and I declined. For once, I’m not regretting it. I’m not feeling like I’m missing out, I feel, instead, like I have space to create. And yes, I’m still a true believer in the Cult of Busy (“Better busy than bored!” is a favourite saying of mine!) I love the thrill, the excitement, the stimulation… but perhaps, just for a week, I’ll sit on my garden steps with my blossoming roses and be a heretic as well. Now, who’s for a cuppa? There are still THIS many things I want to do!!! But one step at a time. Faeosophy – the philosophising of and about faeries and fae-ness. Is the Faery work I do (just) another form of spirit-work? To be clear, there would be absolutely nothing wrong with this. I’m not using “just” in a derogatory way, and, in fact, it will make life easier if I am taking a simple, easily defined path. These things are rarely straightforward, except that they are. Its always about relationships and how we grow within and from them. Working with faeries is working with spirits, yes, and all that entails (learning their rules, learning how to listen/hear them, opening/closing gates, discretion, consistency, commitment, offerings, reciprocity, service, mediation…) and the way I approach Faery work is through the Path I call FeyHearted – in which we learn about our own fey nature. If we are to work with and develop a relationship with them then we must have a strong sense of ourselves and an ability to tap into the magic in us which is akin to theirs. Also, for me, it is about embodying the lessons they teach about creativity, connection and magic – or, put simply, Enchantment. As a modern European, I’ve been brought up in a materialistic culture. As an academic I’ve spent a lot of time in my head. As a dancer I’ve learnt to climb back into my body and as an Enchantress – a Fae Witch – I’ve learnt to find the enchantment in the world. 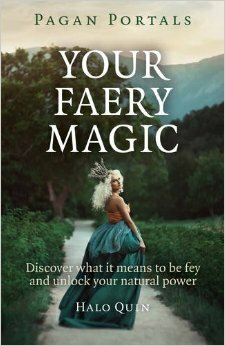 Faery magic is spirit work of a particular kind, one that encourages full, embodied presence in the world and a steady, creative re-enchantment of our lives. In working with them we get bigger and clearer, rooting deep in the earth and blossoming in the sky. Although, of course, whichever spirits you work with will change how you are in the world, won’t it? So the short answer, really, is yes. Faery work, the way I do it, is just a spirit-work with a particular branch of “nature”-based spirits. Do you work with spirits? Do you work with Fae spirits? How does this work shape you and your life? How has it changed the way you relate to the world? By the way, there are more (coherent) ponderings and exercises for working with the Fae in my book, “Pagan Portals: Your Faery Magic”. Available on Amazon and from all good book shops! How do the Fae relate to other spirits? There are many kinds of spirits and none of them are clear-cut… it is more like finding families of related beings with similar energies and functions than defining them strictly. I also often include living beings on that list, mentally, as incarnate spirits. The Fae are generally not incarnate, not in this context anyway, so I’ll focus on discarnate beings for today! Ancestors; dead humans and other species, once incarnate, now not. You’d be hard pressed to find a tradition that doesn’t work with or honour the dead in some way. Deities; a tricky one when it comes to definitions. Different traditions define deities rather differently, ranging from archetypes in our unconscious mind, through to independent beings with personalities and lives completely separate from ours. This is a whole branch of study in its own right, but for the purposes of this post I’ll broadly describe them as non-incarnate beings which hold more power than we do, normally linked to a particular kind of energy (eg. love, knowledge, painting, etc.) or a range of related energies. They generally have their own story/stories and manifest in various ways for different people. Angels; cosmic messengers or intermediaries between ourselves and larger beings/powers. Normally within the Judeo-Christian traditions as I understand it, but not limited to them. Guides; this describes a job rather than a type of spirit – i.e., a Guide is a spirit-being that has the role of guiding people in some way. The Fae seem to me to be most similar to Genius Locii or Landwights – spirits belonging to or expressing the Being/existence/essence of a particular place. They may be more or less approachable. Some of them act as guides. Some deities have Fae characteristics, such as Rhiannon, a magical woman of the otherworld who appears near a particular place (Gorsedd Narbeth). Faeries are not necessarily tied to a specific location, however, so perhaps some Fae are spirits of a particular place – those that are beings of particular lakes, trees, hills and so on – but others are not. There are travelling Fae, that troop across wide areas, those that act as guides and those that live among us. Perhaps, though, they are simply connected to counties, countries, or families, rather than a single rock or tree. The land of the Fae and the land of the dead are often seen as the same place, and often described as reachable through water or mounds, into the earth itself. There are also stories that conflate the Faery Realm with the realm of the Dead. The Nordic myths describe Frey as the Lord of the Alfar, and the Alfar as both Elves and Ancestors. In Irish myth Faeryland and the land of the Ancestors were both called “The Summerlands”. I take connection to mean that they are a similar energetic vibration to ancestor spirits, close enough to the material realm to overlap with our existence, hence their roles as manifestations of the non-human natural world. Perhaps the Fae are the ancestral spirits of the non-human realms, as viewed through our anthro-centric filters to allow us to relate to them? For me this all ties in with our nature as somewhat-fey, or potentially so. We are part of nature, we are domesticated, but underneath that is the wild magic. If the Fae and our ancestors are connected, that points to be to their relation to us as part of nature. Returning to the question at hand, however, the Fae and other spirits seem to me to be parts of a spectrum. Goddesses can be Faery Queens, Faeries can be ancestors or Genius Locii or both, and so on. Although some would, many deities would not be described as Fae, even if some would… and angels generally aren’t considered to be Fae. In some of the stories of the fall of angels, however, faeries were the angels that got left behind on earth when Heaven closed its gates and Hell became full, and those angels took up residence in the land and became Faeries. So Faeries are spirits that are intimately linked to the land and the natural world. Not all spirits that match that description are faeries, but that’s a pretty good place to start. In short, my answer to this question is that they are a type of nature spirit, and that “spirit” covers such a wide range of beings that Faeries can fit into many categories. In terms of spirit working it will be linked very much to the land, to relating to and responding to natural currents and generally working outside of strict structures that are imposed over those currents. More often than not I define some being as Fae based on a feeling, but the pattern that has emerged for me is that that feeling often links in to the “natural” or “untamed” roots of those beings, so I try to track those connections and draw a map that makes some kind of sense! I’d love to hear your thoughts on where Faeries sit in your understanding of spirits. And next time I post it will be a little shorter than this! 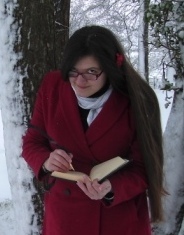 My work has risen from my experiences with spirits and magic, my theories have come from exploring the stories and putting the tales and my experiences together… So something I’m working on is weaving the theory back into context of the stories for the talks and workshops I have coming up this summer and I thought my lovely readers here would enjoy a taster! On 5th June I’ll be co-teaching a workshop on working with the spirits of the land and this little video introduces the first part of the story and some of the ideas behind this work. This story is from the first branch of The Mabinogian, a cycle of stories written down in 12th-13th Centuries and compiled together (and translated into English) by Lady Charlotte Guest. Because of the time they were written they are couched in terms of medieval society and social structures, but the magic shines through, carrying with it evidence of the oral culture and understanding of the world in which these tales were born. Tracing the patterns of the myths and stories can teach us a lot about the relationship we humans have had with the land and its spirits, and what we had learnt (and have recently mostly forgotten) about how to navigate those relationships for the benefit of both worlds. I believe this is so important I wrote a book on how to get in touch with your own connection to the otherworlds, and you can see more about that here, and I’m constantly exploring new ways to share that understanding and the skills that worked for me with others. Bringing it back to where I began, rooted in the stories, where we learn best, feels like and important thing to do now. When working with faeries this is a kinda fundamental question on the one hand, and completely irrelevant on the other. My bottom line is that this work works for me, and it works best when I act as-if they are real. From a pragmatic perspective, then, I will continue to act as-if, and to believe that, faeries are literal, non-metaphorical beings. One other thing – your mileage may well vary. Just because I encounter Faeries in this way does not mean that this is the only way of doing it, or that I’m right! Faeries are notoriously tricky to pin down. They are known for living in liminal spaces, for being betwixt and between, for leading us astray. They are perfectly capable of being kind and cruel, tangible and otherworldly, here and not both at once. That’s not quite the kind of answer I was looking for though, so I’ll try again. They are the magical consciousness of nature. In the stories they are a people with a different ethic and attitude to us. Or they are creatures intent on leading us away from human civilisation. They live in wilder places than we are used to. They can offer us help and unexpected wealth. They are uncompromising when their rules are broken. They are powerful, but subject to certain rules. They are beings of the natural world, but beings with magical powers. In which case, they are the magical consciousness of nature. But is this just a metaphor? Are they actual beings or are they stories we tell ourselves about the natural world but actually we don’t mean it? When we encounter anything we have an experience, which we then understand in a certain way. We hear laughter – soundwaves are generated by someone, they enter our ears and are interpreted by our brain as laughter – just as we feel that something otherworldly is at play in the depths of the wildwood. When the laughter does not come from another human but we still hear it, echoing like bells over the waves, or when we are unsettled and certain something fae is watching us, whatever the tangible facts, we are experiencing faeries. The experience is not a metaphor, it is very real. And, as I’ve said before, when I act as-if, when I believe that something more than what I would expect is possible, magic happens. I see or hear things that don’t make sense until I tell myself the story of faeries. They are a real something, there is a reality to them, and they make the most sense to me when I approach these experiences as faeries. If they were just metaphors, however, they’d still be useful. If I told you a tale of dryads as a metaphor for the ways in which trees communicate through fungi and care for seedlings and stumps, and if you listened to that tale and treated trees better for it, then the metaphor would have given you a healthier way of relating to the world. This is different to saying they have a reality independent of our stories – I and others have definitely encountered something when we’ve gone looking for faeries. When I say “I’ve seen a faery.” I don’t mean I’ve seen a flower do something I can’t explain, or that I’ve run across a natural process which I’ve needed to respect according to it’s rules. I mean I’ve had an experience, a real experience, which I understand as seeing a faerie. The have a reality which is based in our personal and direct experience and so they walk alongside us, as family. When I say “Faery”, I’m not talking metaphorically, I really mean “Faery”, because that is how I experience them. Ultimately, there is a reality here, it is my reality, and it works for me. And perhaps that’s part of the magic of faeries; our relationship with them, our connection to them, is inherently and essentially personal and direct. We meet them, for the most part, one-to-one. They are not distant beings directing things from afar, they are walking beside us through the woods. Those that work with us are holding our hands, tripping us up, pointing out shiny things… like cousins ready for a giggle at our expense, but also, often, ready to be our family.